I predect that this amazing play written by two sisters Nora Ephron and Delia Ephron will continue to have the same longevity as "Love Letters" which ultimately made an enduring contribution to theatre, and is still showcasing the talent of a variety of actors. The play is presented by Daryl Roth and directed by Karen Carpenter. Love, Loss and What I Wore is about clothes and the countless memories they trigger. The play is based on the book of the same name by Ilene Beckerman. Audience members are invited to donate their gently-used accessories and purses, which will be collected in the lobby. 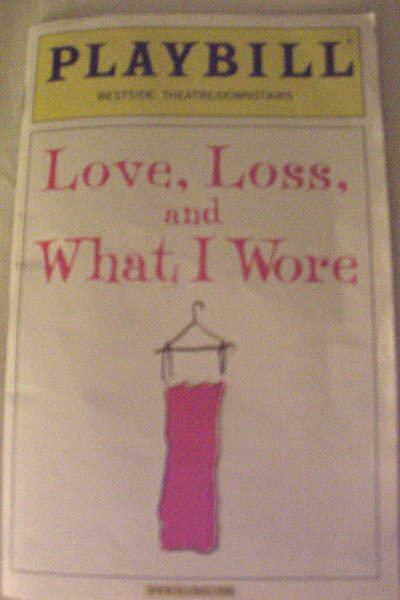 Love, Loss and What I Wore is a play on all the experiences we all have had growing up and moving through womanhood. It touches every audience member with reminders of personal moments of joy and sadness that life dishes up to every woman. I was lucky to be at a performance given on Halloween night when it was beautifully done by the following actresses: Mary Bidsong, Tyne Daly, Lisa Joyce, Jane Lynch, Mary Louise Wilson who brought the aucience to standing applaus. Make-up that night was done by Rosemary Redlin, and everyone looked stunning. features the hit songs "You're A Mean One Mr. Grinch" and "Welcome Christmas� from the original animated series. Max the Dog narrates as the mean and scheming Grinch, whose heart is "two sizes too small", decides to steal Christmas away from Holiday loving Whos. Magnificent sets and costumes inspired by Dr. Seuss' original illustrations help transport audiences to the whimsical world of Whoville, while the Music and Book of Mel Marvin and Timothy Mason breathe new life into this timeless story of the true meaning of Christmas. Runs 90 minutes with no intermission. Originally released as a single, the song �Christmas Once Upon a Time� inspired The Front Porch Country Band to create an album of the same name. 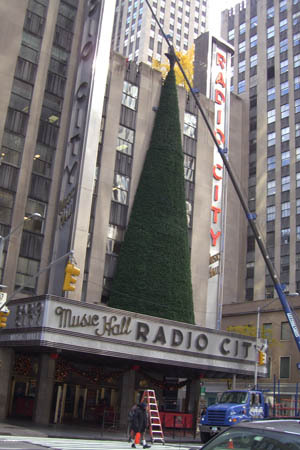 When premiered, the title song rose to become the #1 Christmas song on the world�s largest Internet music subscriber system. The gentle holiday love song evokes images of a simple time in life and features delicate acoustic guitars over the imaginative gently-rocking bass. 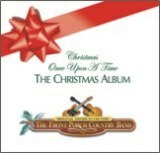 Available to download on iTunes or for purchase from Amazon.com, �Christmas Once Upon a Time� includes song reflections from band members on past Christmases and joyful celebrations of the holiday season. The hour-long album features both upbeat and nostalgic music combined flawlessly to create a holiday celebration for listeners around the world. Song previews and a holiday video from the band can be found online at www.ChristmasOnceUponATime.com. The musical extravaganza �Christmas All Over the World� is a special favorite of band members. The 10-minute composition sails through folk, rock, reggae and calypso style music in a seamless composition. Energetic, dynamic and memorable, �Christmas All Over the World� includes the heartfelt musical accomplishments that The Front Porch Country Band has become famous for worldwide. Another band favorite, �Country Christmas,� promises to become a new holiday classic. As listeners take a �snowy sleigh-ride home� to celebrate Christmas, The Front Porch Country Band offers a reason to relax and enjoy the holiday fellowship of family and friends. For more information on the band and to download their music, go to www.frontporchcountryband.com. James Cameron has been selected to receive the Santa Barbara International Film Festival's highest honor, The Lucky Brand� Modern Master Award, it was announced by SBIFF Executive Director Roger Durling. The Tribute will take place on Saturday, February 6, 2010,at the historic Arlington Theatre. 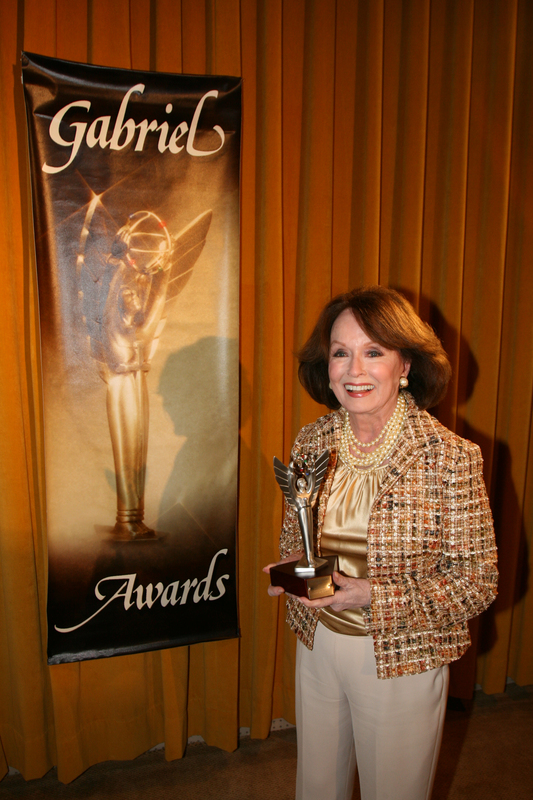 The Lucky Brand� Modern Master Award is the highest honor presented by SBIFF. Established in 1995, it was created to honor an individual who has enriched our culture through his/her multi-faceted accomplishments in the motion picture industry. Cameron joins an illustrious group of past recipients including Michael Douglas, Jodie Foster, Sir Anthony Hopkins, Diane Keaton, Sean Penn, Jeff Bridges, Peter Jackson, George Clooney, Will Smith, Cate Blanchett and Clint Eastwood. "James Cameron is one of the most visceral storytellers working in cinema today and AVATAR is one of the most ambitious projects ever," comments SBIFF Executive Director Roger Durling. "Because of his high aspirations and film achievements, James Cameron is not only the perfect Modern Master for our 25th anniversary, but one for the ages." A true man of all seasons within the cinematic world, James Cameron works at every level in making his films. The many hats that Cameron dons range from Art Direction, Production Design, Editor, Writer, Producer and Director, to name a few. The story goes that after seeing 'Star Wars' he quit his job as a truck driver to write movies. As a writer, director and producer, Cameron has created some of this generation's greatest films. He made his mark with the unforgettable "The Terminator" and has entertained worldwide audiences with such critically-acclaimed films as "The Abyss," 'Aliens," "True Lies," "Titanic," and this winter's highly-anticipated "Avatar." He's a dedicated and honest filmmaker who continues to forge ahead for the sake of art, even to the extent of inventing new technology, such as the new generation stereo imaging camera called "The Fusion Camera." The festivities will take place at the historic Arlington Theatre Saturday, February 6, 2010. Tickets for the Lucky Brand� Modern Master Award are available now, discounted 20% until November 30 and can be purchased through www.sbfilmfestival.org or by calling 805.962.8543. Mini-Paks for the festival (NOT passes) are discounted 20% until November 28, while Festival Passes and Packages are currently discounted at 15% and on sale exclusively at www.sbfilmfestival.org and 805.962.8543. Ticketing fees will apply for all Film Festival Passes, Mini-Paks and event tickets. The Santa Barbara International Film Festival is set to run February 4- 14, 2010. Now in its 25th year, SBIFF is a non-profit organization dedicated to enriching local culture and raising consciousness of film as an art form and continues to be an essential stop on the road to the Oscars. SBIFF presents quality American Independent, Spanish and Latin American, European, World and Documentary cinema, as well as nature and surf films, all within the beautiful setting of downtown Santa Barbara, a perfect backdrop and premier tourist destination. SBIFF is also committed to education through its 10-10-10 youth filmmakers project, Field Trip to the Movies, and educational seminars. With a projected audience of over 70,000 viewing more than 200 films over its eleven-day run, SBIFF attracts an eclectic and diverse consumer base, both locally and nationally, while maintaining strong ties with the entertainment industry in nearby Los Angeles. For more information, please visit www.sbfilmfestival.org. Help make the holidays more plentiful for those in need. $5 worth of groceries, fresh produce, bread, dairy products and meat into the community. Visit: www.awrtsocal.org for information. COMING TO THE PANTAGES THEATRE! Farewell Performances! Back With New Surprises! GO ON SALE SUNDAY, DECEMBER 13TH A 9AM! This January, both RIVERDANCE and STOMP will return to Hollywood's historic Pantages Theatre for the first time in four years. RIVERDANCE will play 16 farewell performances from January 12-24, and STOMP brings new surprises to Southern California during its limited 2-week engagement. O n Sunday, December 13th, the Pantages Theatre Box Office (6233 Hollywood Blvd. at Vine St.) will open early at 9:00 AM as two upcoming engagements go on sale to the general public. Tickets will also go on sale concurrently online at www.BroadwayLA.org and by phone at 800-982-ARTS (2787). RIVERDANCE is the thunderous celebration of Irish music, song and dance that has tapped its way onto the world stage thrilling millions of people around the globe. Composed by Bill Whelan, produced by Moya Doherty and directed by John McColgan, to date, RIVERDANCE has played over 10,000 performances, been seen live by more than 22 million people in over 350 venues throughout 40 countries across 4 continents. They have traveled well over 600,000 miles (or to the moon and back! ), played to a worldwide television audience of 2 billion; sold over 3 million copies of the Grammy Award-winning CD (certified Platinum in the US) and over 10 million videos making it one of the best-selling entertainment videos in the world! RIVERDANCE had its world premiere at the Point Theatre, Dublin, in February 1995, where it opened to unanimous critical acclaim. For more information about RIVERDANCE, please visit the show's official website at www.riverdance.com. The international sensation, STOMP brings to L.A. some new surprises, with some sections of the show now updated and restructured, and two new full-scale routines added, utilizing props like tractor tire inner tu bes and paint cans. The changes that can now be seen in the tour of STOMP are the biggest since the late 1990's. Created by Luke Cresswell and Steve McNicholas, STOMP is an overwhelming success marked by rave reviews and sell-out engagements, along with numerous awards, including an Olivier Award for Best Choreography, a Obie Award, a Drama Desk Award for Unique Theatre Experience, and a Special Citation from Best Plays. Stiff-bristle brooms become a sweeping orchestra; Zippo lighters flip open and closed to create a fiery fugue; wooden poles thump and clack in a rhythmic explosion. STOMP uses everything but conventional percussion instruments - trashcans, tea chests, plastic bags, plungers, boots, and hubcaps - to fill the stage with compelling and infectious rhythms. For more information about STOMP, please visit the show's official website at www.stomponline.com.